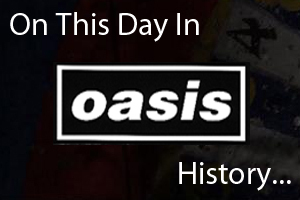 On April 7th 1994 Oasis played at the Tramway in Glasgow, Scotland. It was broadcast on BBC Radio 1's Evening Session, listen to the set below. On April 7th 2009 Oasis played at the AsiaWorld Arena in Hong Kong. Listen to the soundcheck and the gig in the below.